Welcome to our Word Search Event, Aces! 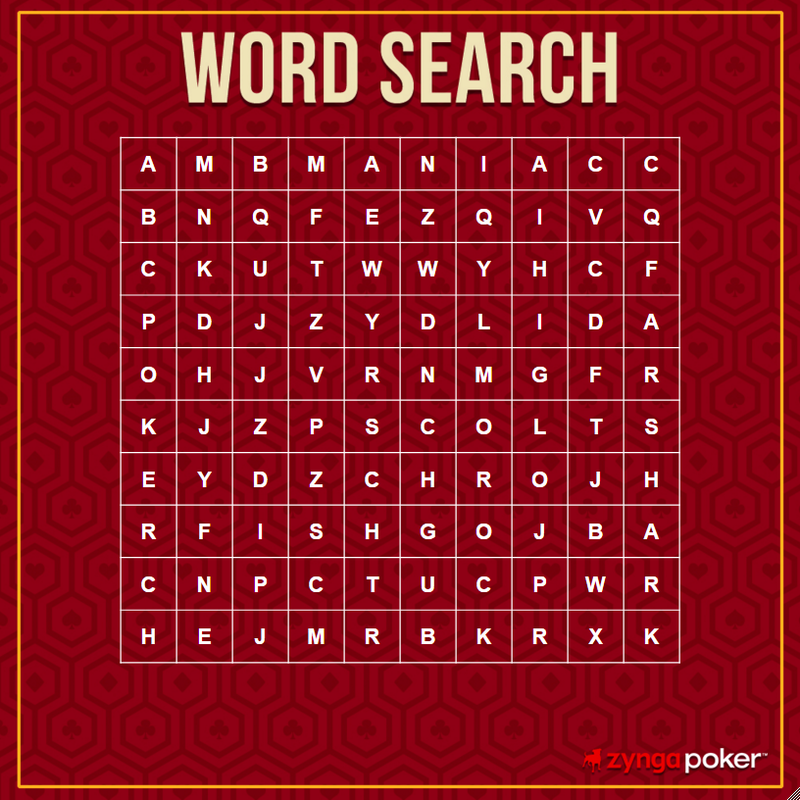 Search up, down, forward, backward, and on the diagonal to find the hidden words and we'll grant you a Chip rewards! This poll event starts on Monday 2017-01-16 12:00PM (noon) PST and will end on Monday 2017-01-23 11:59PM (midnight) PST. COLTS.........as in Indianapolis, who should be in the Super Bowl!!! I like idea, I love crosswords and other puzzles like this and I make them for newspapers in my language... I ignored 3 letter words and I expected to find somewhere Zynga. FISH (8th row), SHOP (6 row diagonal), MANIAC (1st row), POKER (1st colon), BOON (8th row backward up), SHARK (last colon) etc. DIP, POKER, MANIAC. FISH, SHARK. Poker, maniac, colt or colts.